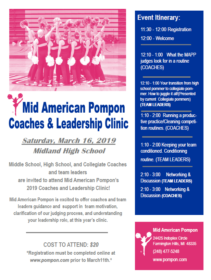 At the Mid American Pompon Coaches and Leadership Clinic we provide your teams’ leaders and coaches with information on several different topics while also giving them the opportunity to network with one another. The goal is to educate all those in a leadership position in all aspects of the sport of pom. 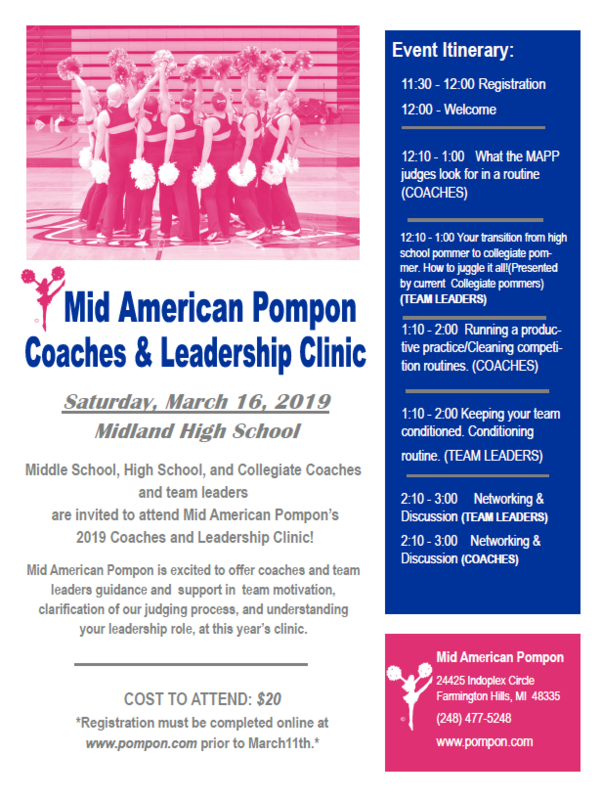 Middle School, High School, and Collegiate Coaches and team leaders are invited to attend Mid American Pompon’s 2019 Coaches and Leadership Clinic!